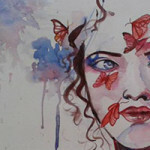 2013 Self Portrait Contest – Enter Now! A New Year, A New You! 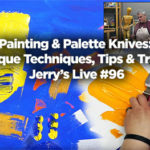 Enter Jerry’s 2013 Catalog Self-Portrait Contest with up to $5,000 in prizes! Happy 2013! 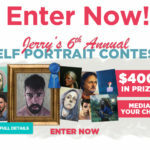 Jerry’s Artarama is excited to ring in the New Year, and to celebrate, we’re having a huge Self-Portrait Contest with up to $5,000 in prizes to award! Check out this video introducing the new catalog and the contest! Many of you have already received the new Jerry’s Artarama Annual Catalog, and have been struck by Dan Nelson’s excellent Self Portrait in Six Media featured on the cover. Dan used all different kinds of art media to create this fun self portrait, and you are invited to do the same for our 2013 Self-Portrait Contest! From now until March 31st, 2013, submissions will be accepted for the contest. The rules are simple: pick any wet or dry media and paint (or draw) a picture of yourself! Do you love pastels? Prefer watercolors? 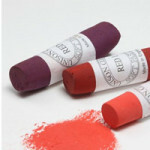 Have you been wanting to try some oil colors? Now is the time to do it! Each contestant may submit one self portrait, and the winners will be decided by communal voting beginning on April 1st, with the winners being announced on April 12th. The contest prizes this year are phenomenal! 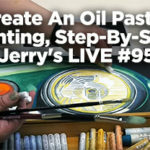 One Grand Prize winner will receive an amazing $3,000 Jerry’s eGift Card for an unbelievable shopping spree at www.jerrysartarama.com! Second Place receives a whopping $1,000 eGift Card, Third Place a generous $500 card, and twenty-five Honorable Mentions will get one $25 gift card apiece. Self portraiture has been a highly respected art subject since time immemorial, and for good reason! There is always more to learn about oneself, and in yourself, you always have an ever-changing, ever-ready subject just waiting to be discovered. The annals of art are filled with self portraits, each unique and catering perfectly to the particular artist’s style. Here are just a few to help inspire your own self portrait! So what are you waiting for? Break out your pencils and paints, prop up a mirror and get started! This year, let your art be all about you!